ソウル美術館は1928年に創設。ソウル市庁前広場の近くの王宮「徳寿宮」の奥にある丘の上にある現在の場所に2002年5月に移転。かつて最高裁判所として使われていた歴史的建造物を改装したもの。The Seoul Museum of Art (SeMA) has continued to expand since its founding in 1928 and moved to its current location at 37 Seosomun-dong, the site of Korea’s Supreme Court building from 1948 until 1995, in May 2002, after the building went through a period of renovation. From that time until now the museum has played an important role as a cultural space to be enjoyed by all the people of Seoul. And to better reach all Seoul citizens, the museum opened the Nam Seoul Annex Building south of the river, a region with comparatively fewer cultural facilities in relation to the north. 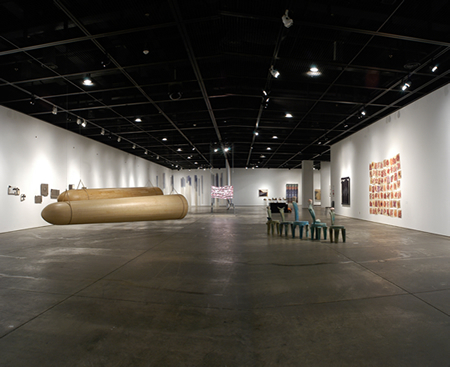 SeMA has earned its place among the world’s best art museums and is wholly dedicated to making art accessible and enjoyable to the general public.